X-Cart 4.7.6 comes with significant performance improvements and of course includes several new features. Also, by the release of 4.7.6 we’ve closed 80% of existing bugs and continue working on the remaining major improvements which require complex changes. X-Cart 4.7.6 is compatible with PHP 7 and demonstrates better performance if runs on the server with PHP 7. You can check this out for yourself in the table below which shows performance test results. 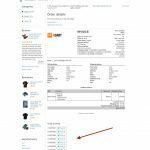 The store administrator can specify several tracking numbers for orders shipped in several packages. 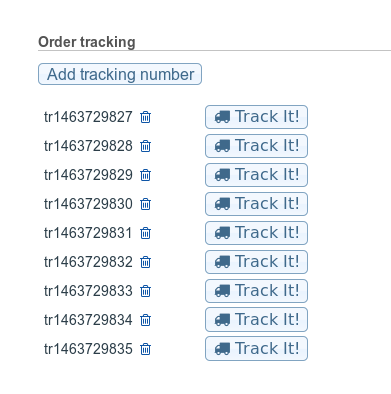 These tracking numbers are visible in the customer area as well. 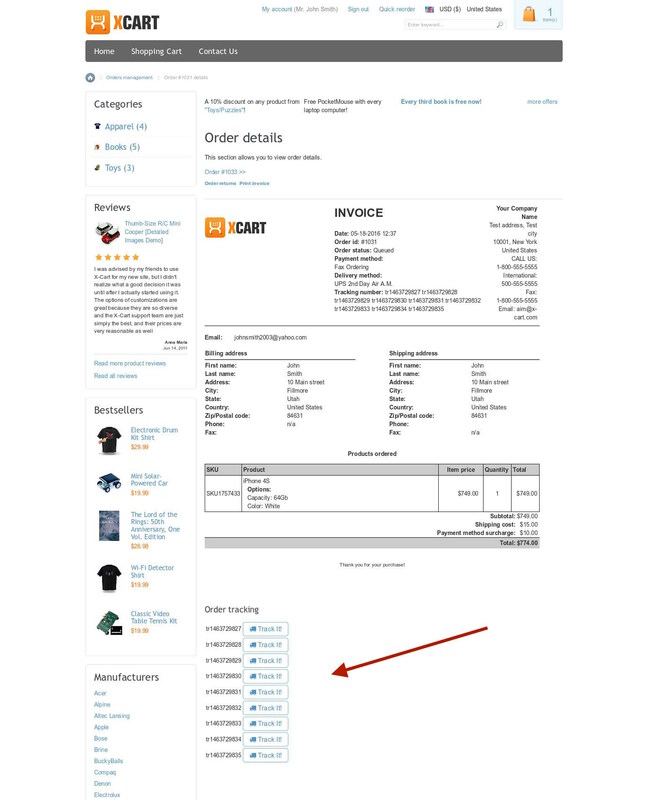 There is a button next to each number, so that the store administrator and a customer can check the shipping status in one click. 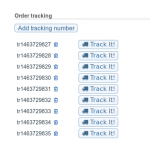 Depending on the shipping service provider, you can track from 10 to 35 numbers for an order at a time. A new setting has been added to tax management functionality: “How to operate if Tax Number validation service not available”. Previously, if it was unavailable the order was successfully processed and the VAT number was considered as invalid even when it was valid, and the tax was charged. Now, the store administrator can set if tax numbers should be considered invalid, valid or checkout should be blocked when the Tax Number Validation service is not available. This payment gateway has already been integrated with X-Cart 4, however there are some updates in 4.7.6. eWay – Responsive Shared Page method has been added. It supports 3D Secure, PayPal, MasterPass and Visa Checkout. 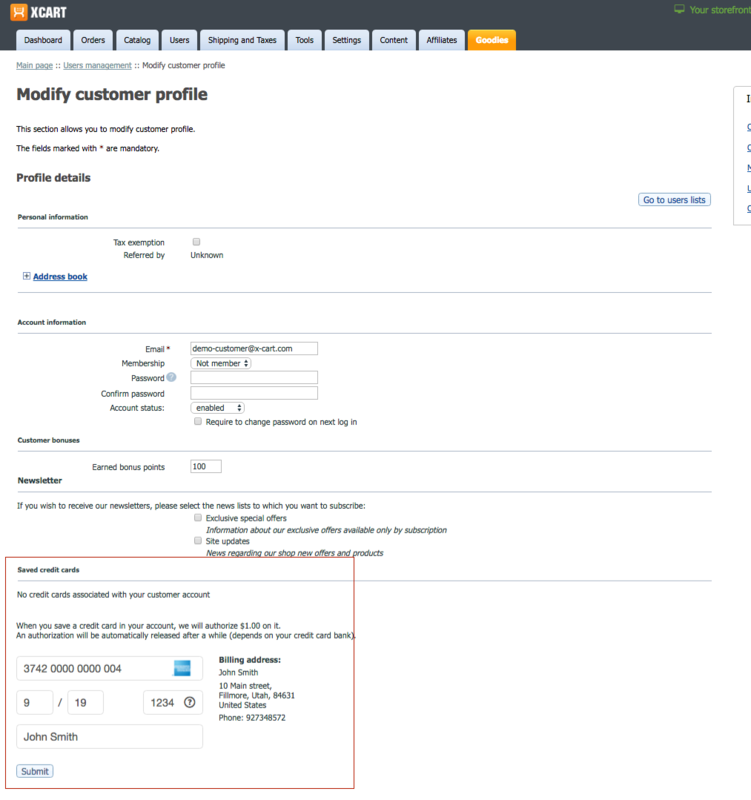 The existing integration ‘eWay – Hosted payment’ has been renamed to ‘eWay – Hosted payment (old integration)’. 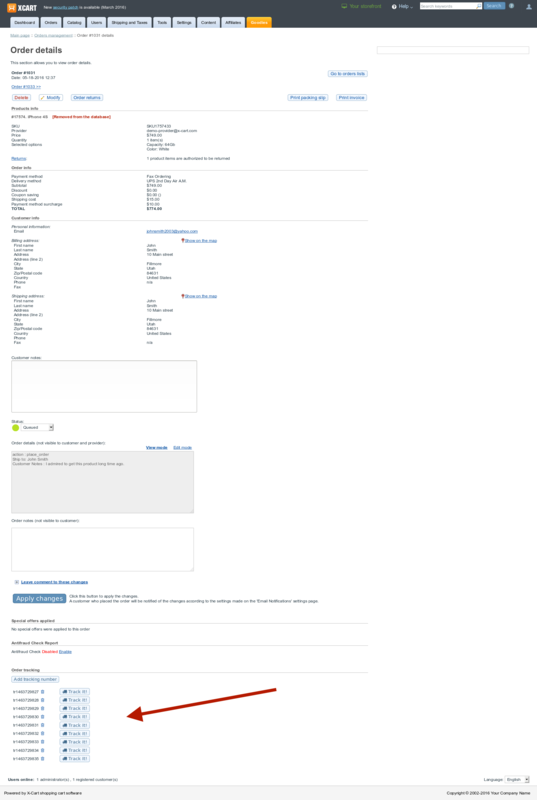 An obsolete ‘eWAY – Stored payment (Shared)’ integration has been removed. 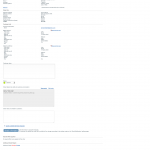 PHP Mailer updated to 5.2.16.